The Walk-in-Interview for the positions of Research Associates/Senior Research Fellows/ Junior Research Fellows/ Young Professional-II/ Office Assistant and Lab Assistant in below mentioned project/scheme will be conducted at this Institute on the date/time and venue and other details shown against positions on contractual basis, which is co-terminus with the project/scheme. The eligible candidates are invited to appear before the Selection Committee for Walk-in-Interview at NDRI, Karnal. 1. DBT Research Project “Development of early pregnancy diagnostic assay through discovery of biomarkers in cattle and buffalo” under Dr. A.K. Dang, PS & PI, DCP Division, NDRI, Karnal. Essential Qualification: M.V.Sc/ M.Sc degree in any one of discipline/Subject: Animal Physiology/ Animal Biotechnology /Animal Biochemistry/ Veterinary Sciences/Life Sciences with 4 years/5 years of Bachelor’s degree with 2 years of research experience. Candidates having post graduate degree in Basic Sciences with 3 years Bachelor’s degree and 2 years Master’s degree should have NET qualification with 2 years of research experience. 2. DBT Research Project “Development of early pregnancy diagnostic assay through discovery of biomarkers in cattle and buffalo” under Dr. A.K. Mohanty, PS & PI, ABTC, NDRI, Karnal. ABTC, NDRI, Karnal On 07-07-2018 at 10:30 A.M. Essential Qualification: Ph.D degree in any one of discipline/ Subject: Biotechnology/ Biochemistry/ Life Sciences OR M.Tech /M.Sc degree in any one of above discipline/Subject: with three years of research experience and one research paper in Science Citation Indexed (SCI) Journal. 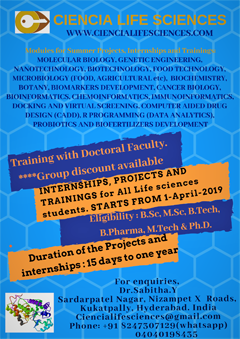 Essential Qualification: Post Graduate Degree in Biotechnology/Biochemistry/Life Sciences (Mammalian Biology) with NET qualification or Graduate Degree in above discipline/Subject: with NET qualification or Post Graduate Degree in above discipline/Subject. 3. NAHEP Research Project “Incentivizing Dairy Education through Innovative Learning Approaches” under Dr. Rajan Sharma, PS, DC Division, NDRI, Karnal. National Referral Center for Milk Quality and Safety, NDRI, Karnal On 09-07-2018 at 10:30 A.M. Essential Qualification: Master's degree in any one of discipline/ Subject: Dairy Chemistry/Food Science/Food Technology/ Microbial Food Technology/ Chemistry/Biochemistry/Biotechnology with 4 years/5 years of Bachelor’s degree. Candidates having post graduate degree in Basic Sciences with 3 years Bachelor’s degree and 2 years Master’s degree should have NET qualification. Desirable Qualification: Experience in food testing and computer literacy. Essential Qualification: Master’s degree in any one of discipline/Subject: Dairy Chemistry/ Food Science/Food Technology/ Chemistry/ Biochemistry/ Biotechnology. Desirable: Experience in food testing and computer literacy. 4. ICMR Research Project “Cell wall components of probiotic lactobacilli as therapeutics for amelioration of inflammatory gut diseases” under Dr. Sunita Grover, Head & PI, DM Division NDRI, Karnal. 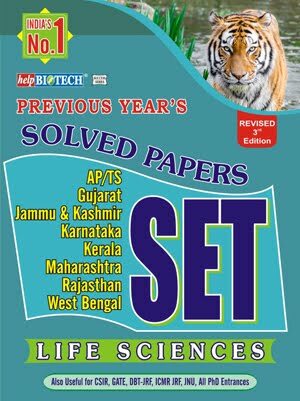 Essential Qualification: Postgraduate degree in basic sciences (Microbiology/ Biochemistry/ Life Sciences) having qualified NET (CSIR/ UGC/ICAR/ARS) or Graduate degree in professional course (Biotechnology) having NET (CSIR/ UGC/ICAR/ARS) or Postgraduate degree in professional course (Biotechnology/ Dairy Microbiology). 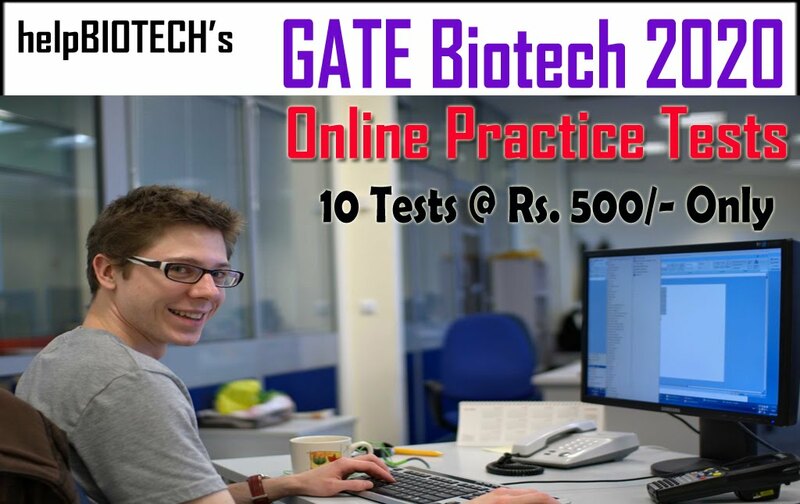 Desirable: Preference will be given to candidates having research experience in the area of probiotics or probiotic foods along with hands on knowledge of routine techniques in Animal Tissue Culture/Molecular Biology and Microbiology like handling of bacteria, DNS and RNA isolation, PCR and Real Time PCR/Protein purification/Small animal handling etc. 6. NASF Research Project “Producation of multiple copies of elite buffalo bulls using animal cloning technology” under Dr. P. Palta, PS & CCPI, ABTC, NDRI, Karnal. Essential Qualification: Master's degree in any one of discipline/ Subject: Bioinformatics/ Biotechnology/Animal Biotechnology/ Biochemistry/ Animal Biochemistry/ Life Sciences from a recognized University with 4 years/5 years of Bachelor’s degree. Candidates having post graduate degree in Basic Sciences with 3 years Bachelor’s degree and 2 years Master’s degree should have NET qualification. Desirable Qualification: The candidate should have research experience in bioinformatics/animal tissue cell culture, in vitro embryo production, molecular biology etc. 7. NAHEP Research Project “Incentivizing Dairy Education through Innovative Learning Approaches” under Dr. A.K. Mohanty, PS, ABTC, NDRI, Karnal. National Referral Center for Milk Quality and Safety, NDRI, Karnal On 20-07-2018 at 10:30 A.M. Essential Qualification: Ph.D degree in any one of discipline/Subject: Biotechnology/ Biochemistry/Life Sciences/Mass spectrometry. OR M.V.Sc/M.Sc degree in any one of above discipline/Subject: with 4 years/5 years of Bachelor’s degree having 1st division or 60% marks or equivalent overall grade point average, with at least two years of research experience as evidenced from Fellowship/Associateship/ Training /other engagements. Desirable: Experience in Proteomics and Mass Spectrometry, Protein Science, Protein expression analysis and Bioinformatics. 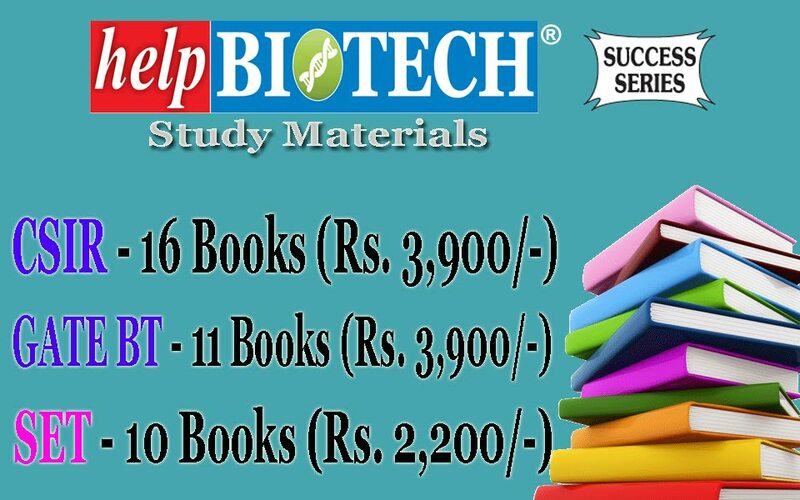 Essential Qualification: Master’s degree in any one of discipline/Subject: with first division in Biotechnology /Biochemistry/Life Sciences with experience of Master’s dissertation work/training for a period of minimum 3 months in academies or corporate. Desirable: Exposure/experience in the area of Proteomics, HPCL and Mass Spectrometry. National Referral Center for Milk Quality and Safety NDRI, Karnal On 27-07-2018 at 10:30 A.M. Essential Qualification: Ph.D degree in any one of discipline/ Subject: Dairy Microbiology/Food Microbiology/ FSQA/ Agricultural Microbiology/General Microbiology/ Life Sciences with specialization in Microbiology. OR M.Tech /M.Sc degree in any one of above discipline/Subject: with 4 years/5 years of Bachelor’s degree having 1st division or 60% marks or equivalent overall grade point average, with at least two years of research experience as evidenced from Fellowship/Associateship/ Training /other engagements. Desirable: (i) Preference will be given to candidates having experience of handling pathogens in biosafety laboratory, development of biosensor and analysis of dairy and non-dairy foods for microbiological quality parameters and drug residues, aflatoxin and pesticide residues etc. (ii) Good knowledge of QMS, FSMS, NABL, calibration of equipments, statistics and proficiency in computer application particularly in use of MS office, excel and FMS/MIS/ERP software. Essential Qualification: Master’s degree in any one of discipline/ Subject: Dairy Microbiology/Food Microbiology/FSQA/Agricultural Microbiology /General Microbiology/ Life Sciences with specialization in Microbiology. Desirable: One year experience in the field of food safety and quality assurance and testing of milk and other products for microbiological parameters. Candidates having Good knowledge of QMS, FSMS, calibration of equipments, statistics and proficiency in computer application particularly in use of MS office, excel and FMS/MIS/ERP software will be given preference. 9. SERB-DST Research Project “Genome Editing of MFGE8 and SI00 Genes in Bovine Mammary Epithelial Cells to Understand their Role in Milk Production” under Dr. A.K. Mohanty, PS & PI, ABTC, NDRI, Karnal. ABTC, NDRI, Karnal On 30-07-2018 at 10:30 A.M. 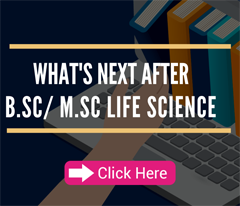 Essential Qualification: Post Graduate Degree in Biotechnology/Biochemistry/Life Sciences (Mammalian Biology) with NET qualification with two years of research experience.